We have another sample clip from the upcoming Menucha album. This song is titled, Racheim Al Tzion featuring YBC & Yaakov Mordechai. 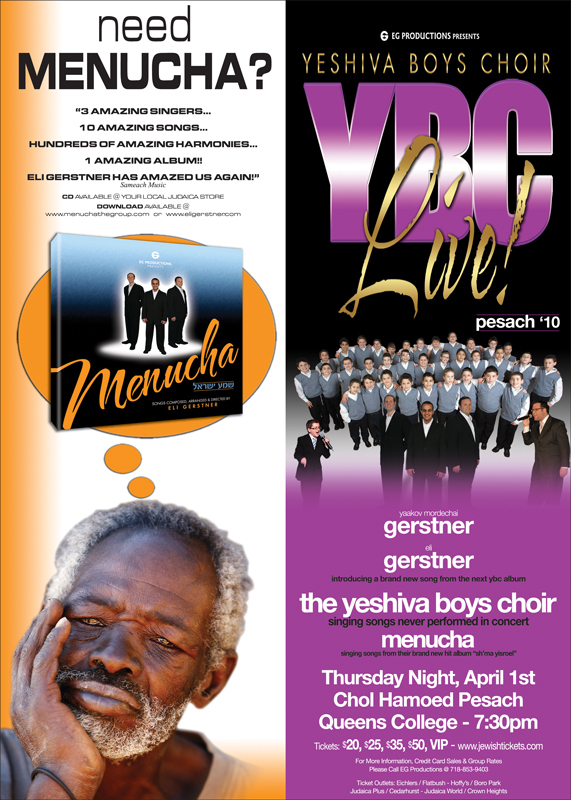 This is a song that will be featured at the upcoming show on pesach as well.